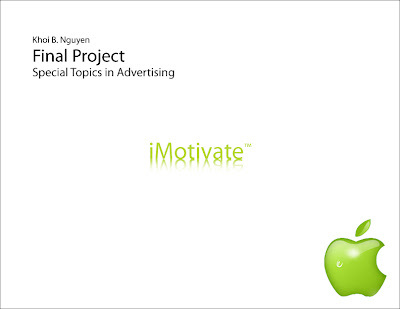 This was the final project for my Advanced Special Topics for Ad Majors course in Spring '09. 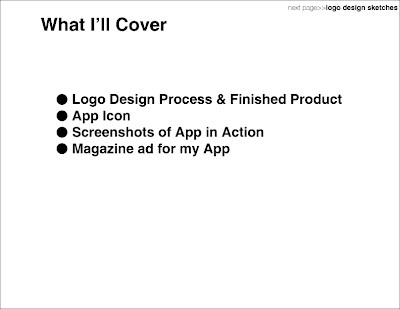 The final deliverables were, 1) Full color logo/branding presented professionally in Illustrator. 2)App Icon, which is the icon that appears on the iPhone screen for our app. 3)Screenshots showing our app in action. And 4)One page magazine ad created in InDesign. I named my iPhone app, "iMotivate," because essentially the app serves as a motivational tool for whenever the user may need it. We all need a little motivation in our lives, and so the iMotivate features famous motivational quotes as well as user submitted. 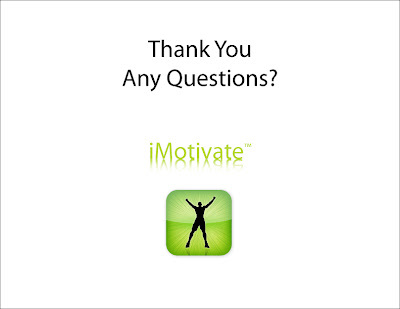 Motivational clips from popular movies such as Rocky VI are also utilized with the iMotivate. The logo design is meant to be the company that created the iPhone app and so I decided to brand myself. "nbk" are my initials backwards, and Vietnam is my home Country, and so I wanted to combine the two. I went through the logo design process from sketches, to pc generation and to color. For the app icon, I kept it simple, showing the silhouette of a man raising his arms in accomplishment. 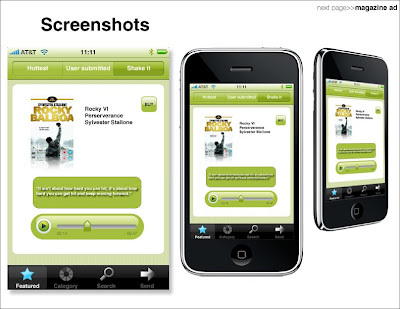 The screenshots are mockups of what the interface of the iMotivate will look like. Everything on the screenshots were created from scratch aside from the iPhone itself. 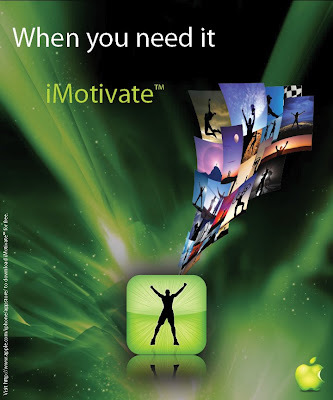 The magazine ad speaks for itself in that you can achieve your goals with the help of the iMotivate app.